When it comes to logistics and distribution, the entire operations require reliable, efficient and strong equipment so that they can meet the deadline without a hitch. By utilising an industrial computer system, managing the supply chain between the point of origin and the point to consumption in order to meet the consumers’ requirements is possible. How Can the Logistics Benefit from 12.1” Embedded Computing System? 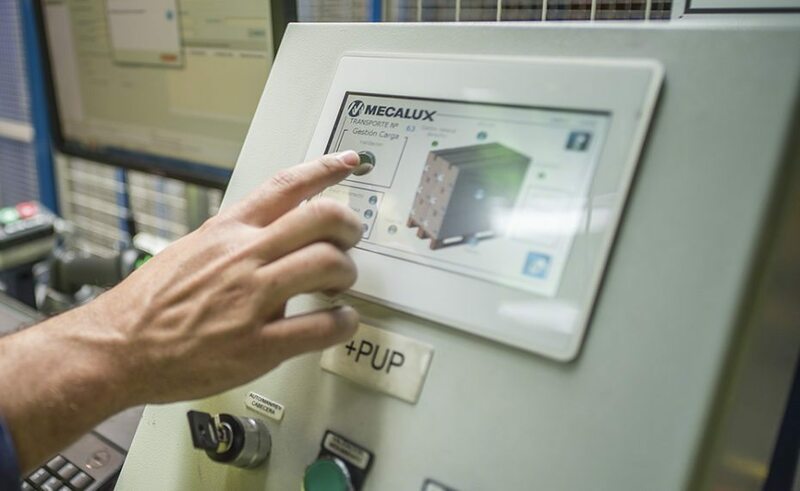 Because you know your business needs reliable industrial products for applications, this Intel-based 12.1” embedded computer enables your operation finish on time without any hindrances. Of course, the logistics and distribution industry is always on-the-move, expect that large packages would accidentally fall over when hit by a loaded palette or monitors would break in by a heavy-handed employee. Since this industrial equipment is enclosed with stainless steel panels, rest assured that it is well-protected. S12 Industrial Computers Versus PC-based Controls – Which Is Better? A lot of manufacturers claim that their industrial products such as enclosed PCs are way better than others. We recommend you to compare our 12.1” industrial grade computers to other PC-based control systems. This computing technology has already gained a lot of positive feedbacks from our recent clients. Powered by an Intel Bay Trail M/D with a 2.0 GHz motherboard processor. Thus, the user can expect a fast turnaround of outputs during the operations since it is compatible for tough applications. Perceived to be a huge investment. Made with stainless steel enclosed panels in order to protect the industrial PC from any hit and breakage due to heavy use. The user must tie up with a manufacturer. It comes with a built-in Watchdog Timer which enables the user to monitor, login, and control the entire logistic operations. It is also a touch-enabled device with a projected capacitance which allows the user to operate without having to take off their gloves. It is also NEMA-sealed and graded IP68-rating which means it is resistant from liquid spillovers, heat, moist, humidity, or any fallen debris over a wide range of temperature. This embedded PCs are also customisable, which means the user can request for a customised panel computer based on his/her needs. It has a standard warranty of 3 years but with the option to extend up to 5 years or more. Now, let us tackle the features and downfalls of other PC-based controls. Quite affordable. The user has no assurance of high-quality performance because of its cheaper price. Some industrial computers are waterproof and heat-resistant. The user cannot guarantee long-term availability since it is only limited to few resistance. It comes with a standard 3-year warranty. Resistive touchscreen technology is not always quick to respond unlike projected capacitive touchscreen technology. Few PC enclosures are powered by touchscreen technology with resistive panels. Other operating systems have limited compatibilities in terms of software and application. In fact, non-Intel processors are only ideal for constrained memory panel devices which are not recommended for logistics and distribution facilities. These enclosed PCs are powered by other operating system. Upon seeing the pros and cons of these industrial products, there is no doubt why we always recommend every user to choose S12 embedded industrial grade computers. It can be a huge investment, though, and you need to tie up with a manufacturer. But, you can always guarantee long-term availability and efficient overall performance. So, if you are having troubles managing the supply chain of your logistic operations, this is the perfect time to decide and build your own 12.1” industrial PCs today.